Maybe you're a newbie to this Paleo or Keto world, maybe you have tried them and feel you failed, maybe this is the first you heard about them and are intrigued. No matter where you are, if you came here for practical tools and support on your dietary journey to make sustainable and positive changes, I’m here to help you. As a trained chef, Functional Nutrition consultant and a foodie, I deeply believe the trick is in making YOU the centre of the whole process, instead of focusing dogmatically on a diet and pushing you to fit the mould. After coaching dozens of people and guiding them as they transformed their dietary choices consistently, I know the focus is ALWAYS on meeting my clients where they are, showing up knowing you have done the best with the tools you had, but now is time to update them! I'm a believer in Good Nourishing Foods that help us thrive and perform at our best and can't wait to support YOU in finding the exact sense of freedom for you! Check out my different options and don’t leave without downloading a chapter of my fab Starting Keto Right! e-book where I talk about Troubleshooting Keto! Want more support? Book your FREE 30-min Session with me, so I can start empowering you towards your happiest and healthiest self. Let’s get you choosing what’s best for YOU! Keto 101 - Starting Keto Right! You want to try Keto with a support network. You're ready to give it a try and want support to make it easier for you, more achievable, yet you want to be able to self-pace it to your needs, always with an online community ready to help... Then THIS is your program! The Starting Keto Right! Online Program takes the principles and ideas of a Ketogenic-Paleo based diet and let's you experience it for yourself on your own terms and ALWAYS with online support. You want extra support to make adjustments on your terms. One 30-min Intake Session with me to cover health and wellness history, food likes and dislikes, preferences and more. Access to a private Facebook Group to get support, ideas, recipes and access to ME! Weekly Live Q&As Sessions on the Facebook group to tackle issues and concerns you might have. Starting Keto Right Guidebook with all the information shared in the Masterclasses and more science, details and info about how the Ketogenic diets work and how to find the options that works best for you and your needs. 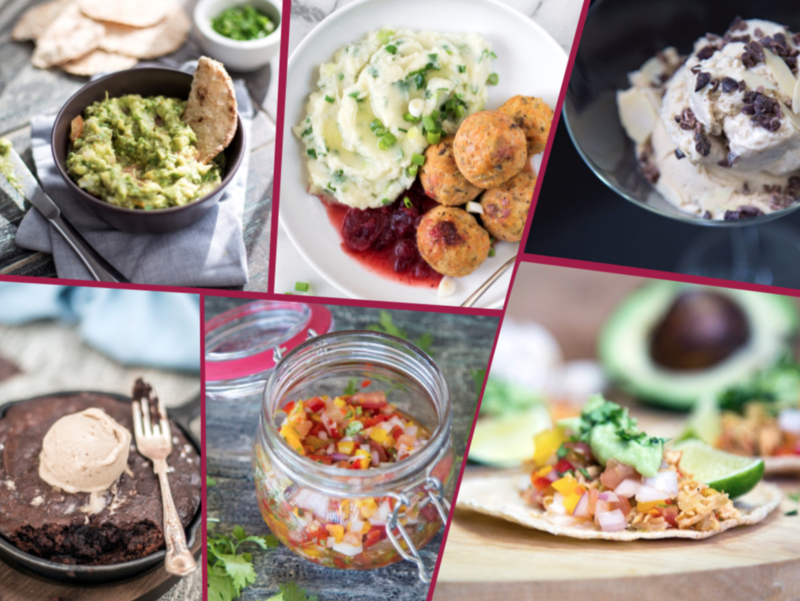 Starting Keto Right Cookbookwith over 40 delicious Keto friendly recipes, meal planning tools and more to get you focused, supported and happy on your journey. Extra resources, recipes and bonuses to further your understanding and confidence within the Ketogenic diet and lifestyle. Looking for a simple place to start your Keto journey? From an e-book packed with info and tricks (plus Bonus recipes!) to a Masterclass where you can learn more about Keto and how to start it. These are ALL part of the Keto 101 - Starting Keto Right! offerings, designed to help newbies and those struggling veterans get to their best self through this powerful fat-fuelled diet! Your Keto Coach as a book, so you can get the tips and info you want and deserve to start your Ketogenic journey on the best terms, empowered and inspired. Includes basic information about keto, how to troubleshoot it successfully, what to do when we struggle and what to eat to thrive on it… Plus, 3 bonus recipes! Get the replay of my Signature Starting Keto Right! Masterclass, where I discuss what is Keto (and how to reach it), what to eat on Keto, how this dietary style works, what are its benefits and much more. Plus, because I want you to succeed on it, I cover some hacks, tips to troubleshoot your way towards pure Keto success! You might have tried it, you might had wished to but felt scared, you might be in it but feel stuck or not thriving - No matter where you are on your Ketogenic journey, this program is for YOU. The Keto Made for YOU! Program is all about taking the principles and ideas of a Ketogenic Paleo based diet and comparing these with your individual needs, likes, dislikes and specific needs. In the end, beyond Ketosis, we want you to achieve optimal health, energy and joy. Am I right? Dealing with specific conditions or diagnosis that need special attention and care. One 60-min Intake Session to cover health and wellness history, food likes and dislikes, preferences and more. Four 45 to 60-min follow-up Sessions to assess progress, adjust what needs adjustment and go through any shifts or issues. One 60-min Celebration and Moving-Forward Session to recognise all the milestones completed through the program, cover next steps, ideas and tools needed to continue onwards on a healthy and empowering eating style. Access to a private Facebook Group from February 7th till March 10th to get support, ideas, recipes and access to ME! Starting Keto Right Guide with 28 days of recipes, shopping lists, journaling exercises, meal planning tools and more to get you focused, supported and happy on your journey. Between session email and/or WhatsApp support straight from me. Keto 101 e-book with more science, details and info about how the Ketogenic diets work and how to find the options that works best for you and your needs. Troubleshooting Keto e-book full of tips, tricks and ideas to overcome any and every challenge you might face on your Ketogenic path. Resources, recipes and material to further your understanding and confidence within the Ketogenic diet and lifestyle. Start your journey towards Ketogenic success TODAY! Interested in Nutrition but NOT on Paleo or Keto? Then my Personalised Packages are JUST what you need! Choose 6 or 12 Sessions that will be 100% about figuring out what YOU need and deserve to THRIVE (on your terms!). Check out my other offerings here! You can simply book a call with me and see where that leads us. Remember, I'm here to meet YOU where you are. Book your FREE Call HERE!